City of Warren Department of Public Works crews continue to have their hands full. 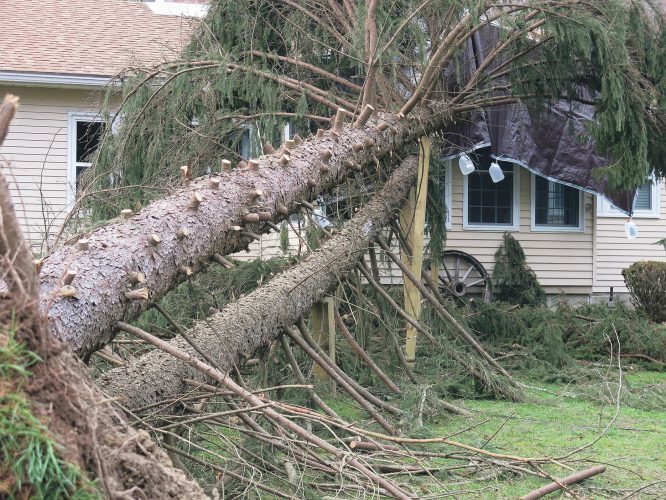 “Due to the tornado… DPW crews will be spending Tuesday and possibility Wednesday in the northern part of the city,” DPW Director Mike Holtz said on Monday. The city’s Spring Cleanup program was initially slated for this week, but that effort will be delayed while crews cleanup affected areas from Sunday’s storm. In addition to the work done on Tuesday in the storm-affected area, Holtz said crews will come back to that area as part of the Spring Cleanup, noting that residents are “more than welcome” to also dispose of brush at a designated location at the sewer plant on Harmar St.